Kodi Builds make it simpler and easier to set up Kodi. With the right build, you can turn your Kodi into the ultimate powerhouse for streaming. Check out this list of the best Kodi builds for live sports in 2019. Kodi is a powerful media center that allows you to play your local media files as well as stream movies, TV shows, and live sports online. The software works on all the major platforms including Windows, Mac, Linux, IOS, Android, and Raspberry Pi. You can also use it with popular streaming devices like Roku, Chromecast and Fire Stick. Kodi is highly customizable and can be set up to suit your taste and preferences, and Kodi builds help you accomplish that easily. 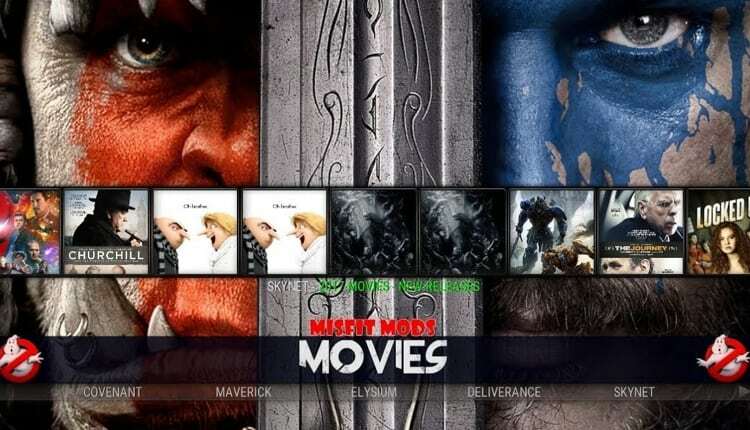 These builds are loaded with top add-ons and skins that allow you to set up the media player with a single installation. The best Kodi builds for live sports offer an extensive list of sports add-ons including NFL Game Pass, Sportsnet Now, DANZ, and other official add-ons. You’ll also find numerous free unofficial third-party alternatives allowing you to watch any sporting action from the comfort of your home. But first, before we look at the best Kodi builds for live sports, make sure that you are using a VPN. While Kodi itself is free and legal to use, some of its add-ons and uses fall in the gray area of the law. When using third-party add-ons, it can be difficult to determine the sports content that is free to stream and that which is not. As a result, there is always a risk that your addon might be offering copyrighted streams. Fortunately, with a VPN you can protect your privacy and stay anonymous when using Kodi. Additionally, most ISPs are quick to detect streaming data and throttle connections to minimize bandwidth consumption. Again, thanks to VPN encryption, your ISP will be unable to tell the type of data you are sending over their network. A VPN will also allow you to bypass geo-restrictions and watch live games from anywhere in the world. For instance, the NFL Game Pass addon offers only the international version which is inaccessible from within the US. With a VPN, you can mask your actual IP address and make it seem as if you’re browsing from a location where the content is available. IPVanish is one of the best VPNs around and we highly recommend it for Kodi. The VPN offers strong encryption and incredible speeds making it perfect for streaming live sports. IPVanish has over 1100 bare metal servers in over 60 countries across the world. And thanks to their 40,000 plus IPs, bypassing geo-restrictions is a breeze. The VPN comes with robust security features including an automatic kill switch, IP leak protection, and self-hosted DNS. You can run the VPN on almost all Kodi devices, and there are user-friendly apps for Windows, Linux, MacOS, iOS, and Android. Additionally, they offer a reliable Kodi addon allowing you to install the VPN directly on your Kodi player. IPVanish is also fairly priced and even better, our readers get to enjoy a 57% discount. Further, with each plan you get 7-day money back guarantee and with a single subscription, you can cover up to 10 devices simultaneously. There are many add-ons that you’ll need to install to get the best sporting action out of Kodi. However, instead of selectively installing the add-ons one after the other, you can use Kodi builds. This will make the process easier and quicker while providing you with a highly customized experience. Below is a list of the best working Kodi builds for live sports. 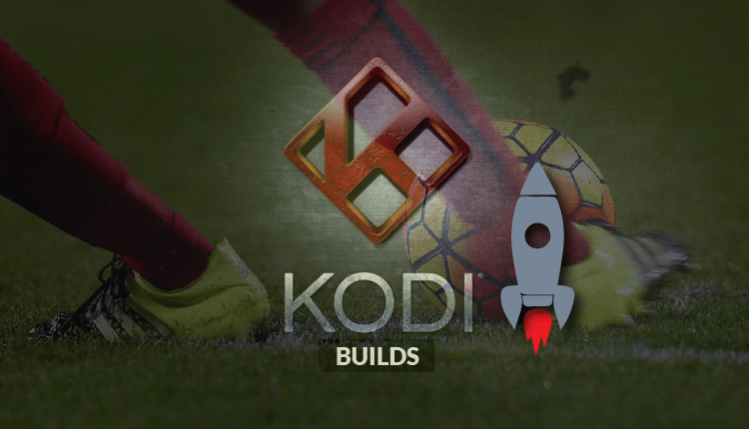 The Titanium build is one of the most popular Kodi builds today; thus being listed in first place on this article about the best Kodi builds for live sports. This powerful build offers reliable add-ons, features, and one of the best interfaces you can find. If you are a sports fan, you will be thrilled to know that the build contains the Sports Devil and Sports Hub add-ons – which offer great live sports. These include the NFL, MLB, NBA, Formula 1, and European football. 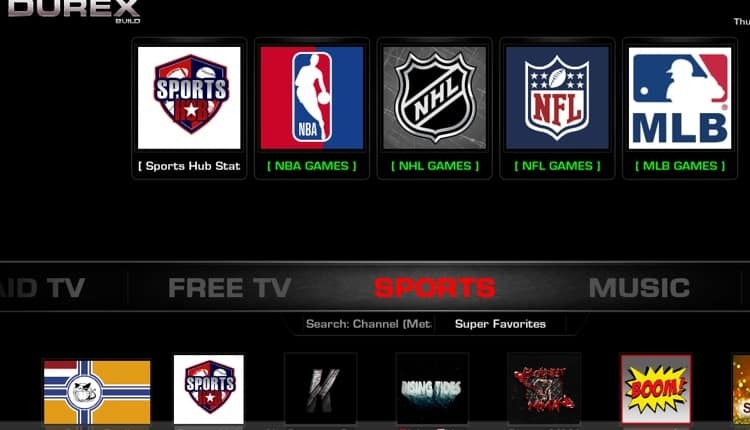 In addition, the build offers paid IPTV services allowing you to use your sports subscription. Titanium also has plenty of Movies, TV shows, and Sports Replays. The build is lightweight and works well on all devices. Listed in second place in this article about the best Kodi builds for live sports, Equinox build is a top class build for streaming live sports. The build also offers movies and TV shows, but the sports section is more favored and contains lots of content. Equinox includes a lot of useful sports add-ons such as Genie TV, Project M, Maverick TV, Sports devil, Supremacy Sports, and lots more. The build uses the Genie TV Repository. At over 400mb, Equinox does not work well with low-end devices but is perfect for PCs. 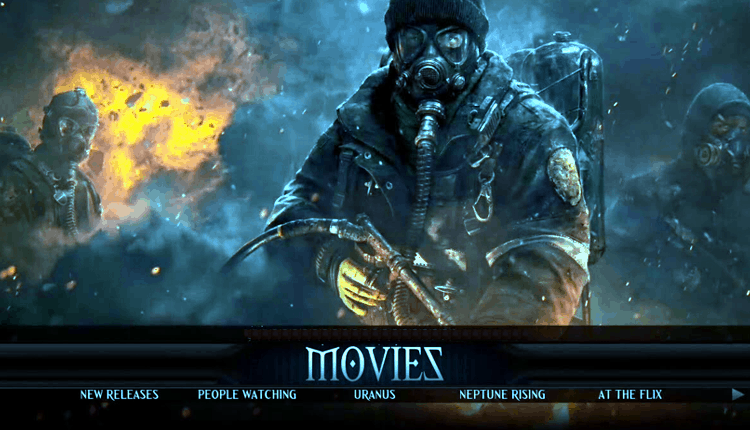 Already widely used, Lobo is one of the latest Kodi build, despite being around for a few months, it’s . It’s fast and easy to use even for a novice. 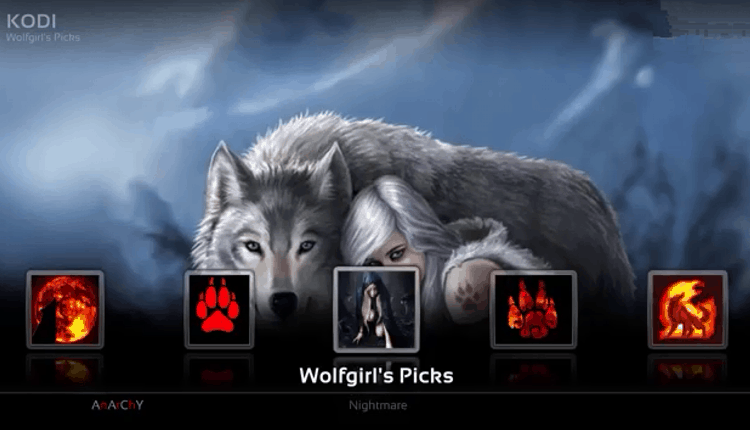 Lobo is built for sports lovers and offers high-quality live games. It has a section dedicated to PPV live matches allowing you to enjoy exclusive sporting events from anywhere in the world. Some of the sports add-ons available include Just Sports and Maverick TV. If you are looking for a light Kodi build with reliable live sports, then look no further! Misfits Mods’ performance is incredible, and the build works perfectly with all Kodi devices including Firestick. Misfit Mods Lite has various sports add-ons such as ESPN, Sports Devil, Swift Streams, and BoB Unleashed. You also get to enjoy an up to date TV guide ensuring you never miss a game. Durex build is back and better, after being temporarily down. 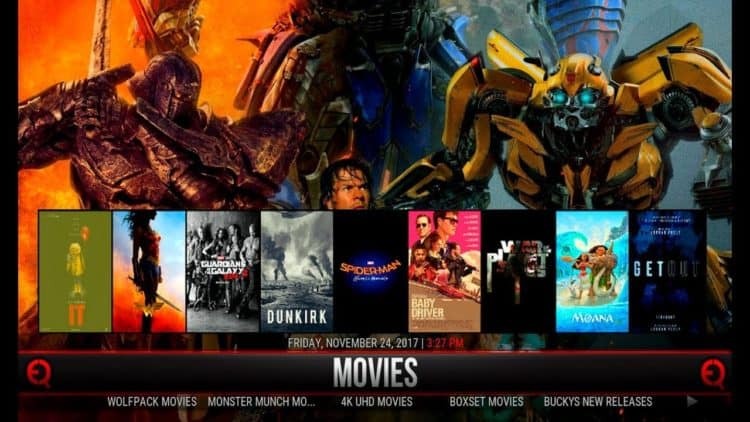 This build gives you a complete Kodi setup allowing you to enjoy not only live sports but also your favorite Movies, TV shows, Music, and more. Some of their popular sports add-ons include Gears TV, Sports World, and Planet MMA, which offers live UFC and Boxing. Durex is lightweight and is compatible with any Kodi devices from Firestick to Android TV. Another powerful build with an equally impressive design is BK Nox build; features the Aeon Nox Silvo Skin and offers lots of great content. 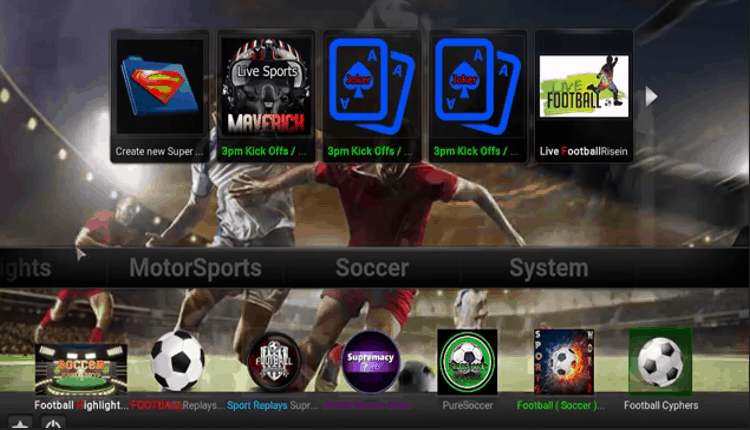 Live sports add-ons include Maverick TV, Supremacy, Pure sports and you can also enjoy movies and TV shows from add-ons such as Placenta and Neptune Rising. BX Nox is surprisingly fast and smooth to use, despite having a size of around 300 MB. The build is compatible with a wide range of Kodi devices; can be installed through the Stream Digital Wizard. On Demand is a new, lesser-known Kodi build from the Mr. On Demand wizard. What we found quite impressive about this build is that it contains only sports add-ons. It provides reliable live streams for all the major sporting events including Football, Basketball, Baseball, and Soccer. It’s easy to navigate, and it works well for most devices. It is regularly updated and likely to add more streams in the future, although the On Demand build pulls comparatively fewer streams. The above Kodi builds on this article on Kodi builds for live sports, are suitable and perfect for streaming live sporting action from across the world. Always remember to turn on your VPN before you can use any third-party Kodi addons. With IPVanish, you won’t need to worry about your privacy, geo-restrictions, or even ISP throttling. 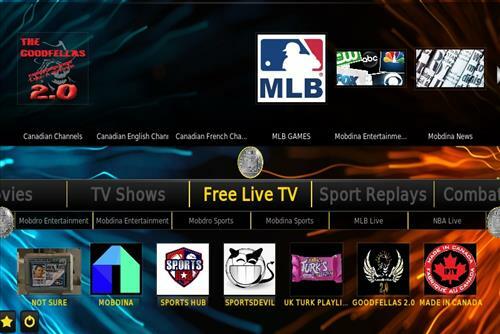 You can then enjoy any live or on-demand sports action free or paid on Kodi without a hassle. Hope this article on Kodi builds for live sports have helped you.